While heated blankets were needed to keep camera lenses from freezing, The Video Call Center (VCC) live remotes by smartphone needed no thermals to bring players in from their locker rooms and clubhouses. Fox Sports North put on an impressive 13th annual hockey day, overcoming -27 temps to air three outdoor games. New to the toolkit this year, FSN asked VCC to remote in three players of the Minnesota Wild organization, who previously played in Hockey Day, to illustrate the rich history of the event. 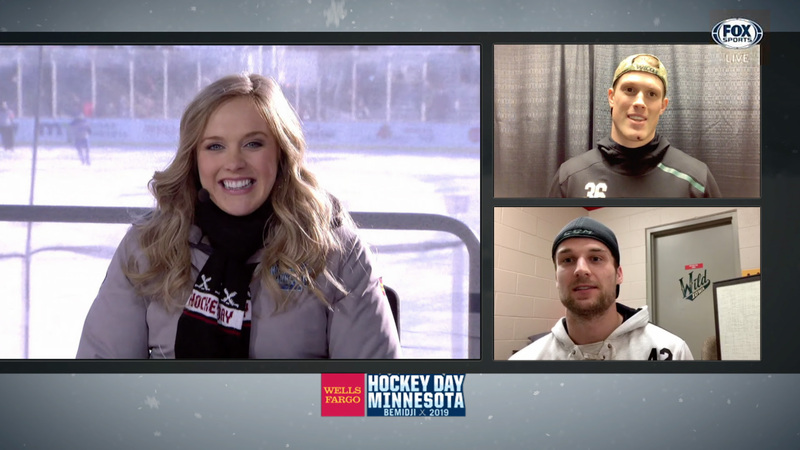 While host Jamie Hersch sat bundled up rinkside in Bemidji, players Kyle Rau, Nick Seeler, and Matt Read comfortably chatted with her using their smartphone cameras from remote, indoor, and most importantly, warm locations. At VCC HQ in Palisades, NY, VCC call-producers made the most of the VCC’s remote call-producing capabilities. They connected and integrated the remote calls, which included the host’s and players’ feeds, all via VCC’s HAT automated production platform to deliver two polished, smooth segments.